An overview of how to create quality audio recordings for your course. The following includes a guide on the best practices when making your final audio recordings. Not following these guidelines may lead to problems that require you to re-record your audio and thus, delay course launch. 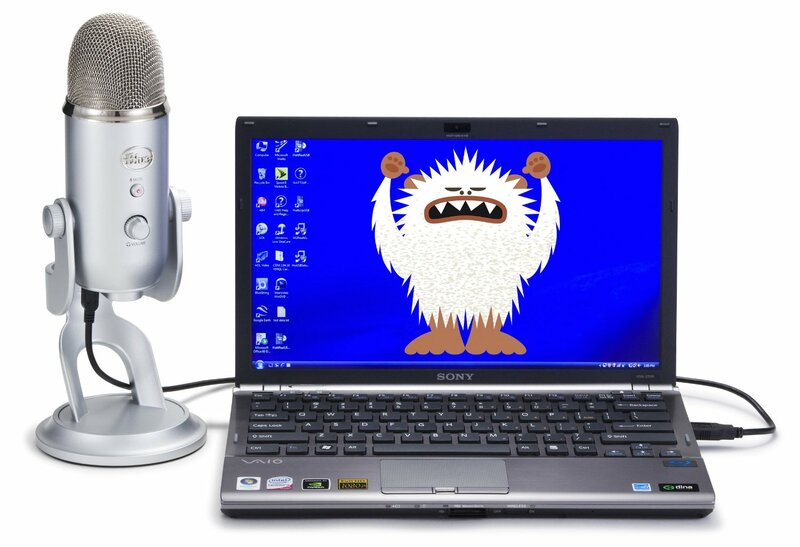 Once your course enters the final chapter of development, we will purchase and send you a Blue Yeti USB microphone for you to record your course. This microphone is yours to keep. Make sure you've filled out our instructor intake form with the proper shipping information so that your microphone doesn't get lost! Find a quiet space for recording; we want to avoid background noises (traffic, air conditioners, computer fans, etc.). We also want to prevent echo, so choose a room with soft furnishings (carpet, curtains, etc.) that will dampen the sound, rather than a room with hard furnishings (wooden floors, concrete, brick, etc.) that will create an echo. Follow instructions in the booklet for your operating system. Place the microphone on a stable surface, like a sturdy desk. It should be in front of you and a little bit to the side. Record a test audio file using either Quicktime or Audacity to make sure everything sounds good. The test doesn’t have to be a whole chapter, just read 20 seconds or so. If you have any concerns, raise them with us before recording the entire course. Check your software settings to make sure your software is recording using the external microphone and not the inbuilt microphone in your computer. Speak slightly above and to the side of the mic to prevent whooshing sounds from plosives. Background noises: air conditioners, traffic, computer fans, etc. So please choose a quiet location. Echoes are not our friend. Record the final audio with Audacity. Remember, this is not a screencast so don’t record your screen. Record each slide deck in a separate file. Extract the entire script for a deck by clicking the button and display it on your computer. If you prefer to have a teleprompter-like experience, check out EasyPrompter. Say the chapter, video, and take number at the beginning of each take. Leave some space in the recording at each end to allow for cutting the final videos together. Your first take will be your best take! Write notes as you go by noting the take number, file name, and whether the take was good or not. Put all this in a text file and upload it with your recordings. Or use this take sheet. Export your files as .wav files if possible, not .mp3s. Wav files are uncompressed, whereas MP3s are compressed. Name your files according to the convention: ch1_2_03.wav for the third take of the second video in the first chapter. Upload all your takes and your notes to Dropbox, Google drive, etc. and share with us.